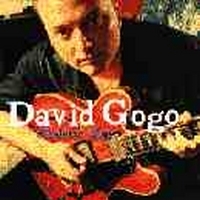 Warm voice and howlin’ guitar, “Canadian Dave” is back and cuts his third cd on french label Dixiefrog. David’s life smells the blues . A big knowledge about music and so many influences from Albert Collins, Willie Dixon, Otis Rush or Curtis Mayfield to Captain Beefheart, give a special selection of covers made in an intense and particuliar mood that you never heard before. Listen to that Depeche Mode “Personal Jesus” , completely haunted by the Beefheart spirit, dirty, heavy and low down blues with an incredible harp and screamin’ guitar. 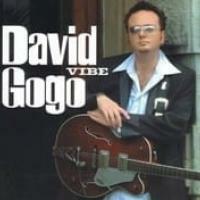 Voted “Musician of the year” during the 99 West Coast Music Awards, David Gogo is still touring all around the world and opening for famous artists as Buddy Guy. 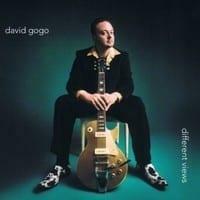 The Canadian guitarist's fifth album for the Cordova Bay label, and seventh overall, shows David Gogoat the peak of his soul, blues-rock powers. Certainly the only musician in his genre to cover Depeche Mode (a gutsy "Personal Jesus"), Otis Rush (his version of Bloomfield/Butterfield's "Reap What You Sow" nearly cuts the original), Stevie Wonder (a roughed up, bluesy and slowed down "Signed, Sealed, Delivered" is nearly unrecognizable from the original) and Curtis Mayfield (a muscular "Fool for You" does justice to this terrific tune) on the same album, he's a not only a terrific interpreter of other's music but digs deep to unearth interesting material. His version of the obscure Willie Dixon tune "It Don't Make Sense (That You Can't Make Peace)" is an eight minute whirlwind that showcasesGogo's stinging, surging guitar and sure sense of drama helped by harmony vocals from Melisa Devost. 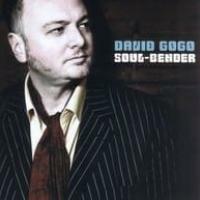 Gogo is also an impressive songwriter on his own, as the six originals here prove. The title track is a successful stab at greasy Sam & Dave mid-tempo soul and the jagged riff on "Belgian Moon" is one most other roots-rockers would kill for. His vocals are confident and convincing but it's his production with Rick Salt that is most notable. The sound on this album is spacious yet direct, showcasing Gogo's guitar leads while keeping them from overwhelming the songs. Why this guy isn't better known outside of his home turf is the real mystery. Maybe it's because of the sketchy US distribution of his label. But anyone who enjoys tough roots rocking with a side of tangy R&B is highly encouraged to search this out.